As the reliance on lay ministers increases, the study of the lay leader becomes crucial. In Lay Leaders of Worship, Kathleen H. Brown explores the possibilities and requirements for lay ministers by incorporating personal experience, Scripture, and expert studies. Brown describes the ministerial identity of a lay leader of worship in terms of authority, spirituality, skills, and relationships. 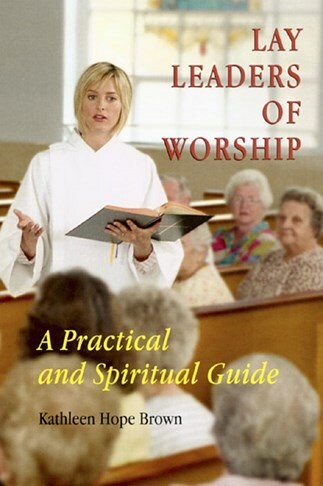 Practical suggestions for the spiritual formation and growth of a lay leader of worship are also provided. Kathleen H. Brown, DMin, is a regional director at De Sales Spiritual Center in Washington, D.C. She is also faculty member of the Washington Theological Union and a pastoral associate at St. Ann Catholic Church in Arlington, Virginia. I would recommend this book without reservation as a companion in formation that one would return to again and again to drink deeply from this well of pastoral and spiritual insights. There is much in this little book that is both helpful and provocative. Her considerations about spirituality, formation, and continuing development of spirituality are, I think, very useful not only for lay presiders but for all those who lead liturgically or in any Christian capacity. Clearly, this book was born of love--love for the ministry of presiding, love for the people served, love for the God proclaimed. This love informs the accounts of her own ministry, and shapes the guidance she offers to others who share in or aspire to it. The volume will be of help to them, to those responsible for forming them for ministry, and to anyone seeking to understand the part that ministering plays in the lives of lay ministers. The book's theology is solid and the language sounds the right note for a work treating both the spirituality and the skills of those women and men who lead a community in worship in todays church. Both the experiences of these lay leaders and the author's recommendations for the future will be important resources for future policy makers as they begin to implement their own formation programs. With this book in hand, there is no need to reinvent the wheel for leaders of prayer in parishes throughout the country.